Have you seen the ads about town? The Aquarium's beloved penguins are in the spotlight this summer with our new Penguinology program. When you visit, you'll pick up gobs of fascinating facts about these beloved birds—from their super speed to their sneaky hearing. And if you just can't get enough penguin (because really, who can?) then you'll want to be tracking our social media this summer. That's because we're going to bring our penguin ambassador to several hotspots around Boston. Roast Beef (yes, that's his name) will be there with his air-conditioned penguin-mobile, while his minders will be armed with nifty bookmarks to hand out to penguin fans of all ages. Our penguin mascot might even join the fun! Definitely, bring the camera. Look for Roast Beef in his penguinmobile this summer! Each time we give our followers on Facebook, Twitter, Tumblr and Google+ a hint about Roast Beef's travels, we'll be posting a particular penguin fact. 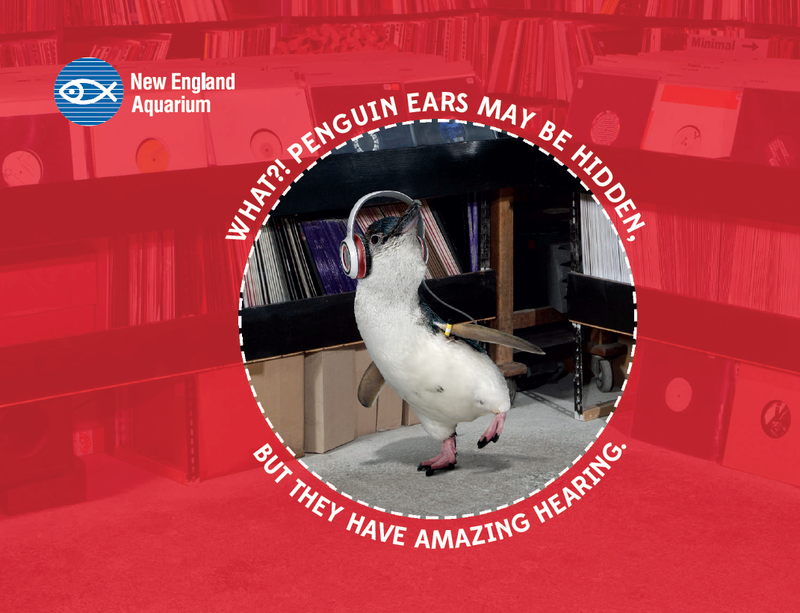 Say, the fact that penguins have amazing hearing—above and below the water, for example. Remember that fact. 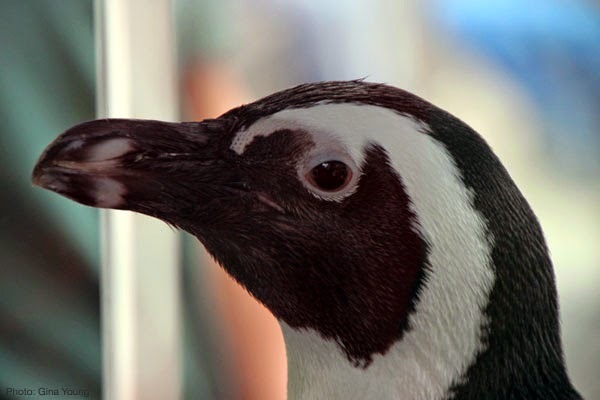 Because FREE Aquarium passes will go to the first 10 people who wow us with their penguin knowledge of this fact after successfully solving the clues to find Roast Beef! We can't wait to see you here at the Aquarium. And if you want a fix between visits, be sure to follow us on social media to find out where Roast Beef will be appearing next. Here's where he'll be today, August 19!